Not just large e-commerce players, even the insurance industry is excited about the possibilities of drone delivery of products after the civil aviation ministry released the draft guidelines on the drone policy last week. But the Insurance Regulatory and Development Authority of India (Irdai) is still silent on regulations for insuring doorstep delivery of products and services through drones or the use of drones for surveying damages and claims. As the buzz about e-tailers such as Amazon and Zomato planning to deliver parcels via the sky gets louder, general insurers are waiting for the sector itself to grow beyond niche applications. 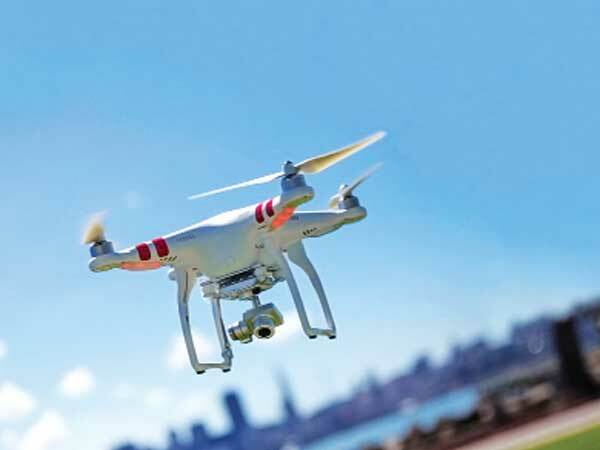 2Non-life insurers are also keen to use drones for risk management and claim processing, however, challenges like cyber attacks and privacy invasion need to be examined by the regulator. “The sectors like mining, agriculture, oil and gas, broadcast, telecom and aerial filming sectors will be the prominent drone users. After drone regulations 2.0, the usage is expected to become more popular and business-oriented as well for insurance sector too,” he added. “As regulations do not allow drones to be operated out of sight, their adoption for commercial use will be curtailed. The government needs to examine this aspect while expanding the scope of regulations in the future,” the official said. The government’s drone policy envisages drones becoming a preferred tool for several sectors such as disaster management and agriculture, among a host of others. “The growth in insurance sector will be exponential as the usage in industry, infrastructure, surveillance and agriculture, as well for recreational activities, will grow,” the official said. India’s drone market, according to a report by advisory firm BIS Research, will become $885.7 million in size by 2021 even as the global market will hit the $21.47-billion mark. The new policy seeks drone operators to have a unique identification number, unmanned aircraft operator permit, no permission-no takeoff clearance, insurance, and ID plate via the newly launched online portal for drone registration–Digital Sky. Insurers expect the new drone policy affording 8-10 per cent growth in business in the agriculture and export sectors. As per Irdai data, two specialised PSU insurers—Agricultural Insurance Company of India and Export Credit Guaranteed Corporation of India—reported a combined premium of Rs 150.09 crore for April-November 2018, down 29.7 per cent from the year-ago period. “With upcoming drone policy in place, we expect at least 8-10 per cent more growth in these agriculture and export sectors,” said the chairman and managing director of a PSU general insurance company. Commercial use of drones in sectors such as agriculture, health, and disaster relief has been authorised, with certain restrictions, from December 1, 2018. As of now, insurers want to use drones to expedite the settlement of claims under the crop-insurance scheme Pradhan Mantri Fasal Bima Yojana (PMFBY) and survey damaged cars after road mishaps in remote areas. A 2016 PwC report had estimated that drones used in insurance-related operations alone were a $6.8 billion market globally. According to global market intelligence, India’s overall drone market will reach $885.7 million by 2021. “However, given its nascent state, it is difficult to put a finger on the size of the domestic market for insurance-related applications of drones or third-party drone insurance,” it said. In 2014, the Directorate General of Civil Aviation (DGCA) imposed a ban on the use of drones. But even while there was no regulation in place, around 500,000 drones were reportedly in use across the country for aerial data collection in sectors such as power, mining, realty, oil and gas exploration, railways, and highways. According to the regulations just released, drones will be permitted to operate only within sight, during the day, and at a maximum altitude of 400-ft, barring certain no-fly zones such as airports, state secretariat complexes, and military installations. Small drones—the micro category, weighing between 250g and 2kg and operating below 200 feet, and the nano category, weighing up to 250g and operating below 50ft--will not need registration. General insurers looking to diversify beyond health and motor insurance are gung-ho about the drone era. “After the announcement of the drone regulation, we are highly optimistic about this segment and eager to offer a complete insurance solution,” said a senior official in ICICI Lombard General Insurance Company.